Winchellesque radio commentator Perry Travis (William Gargan) fancies himself a brilliant amateur detective; the cops wish he'd just stick to his microphone and let them do the detecting. This proves impossible when a famed scientist is murdered in Perry's studio, right in the middle of an interview. All the evidence points to Perry as the guilty party, which of course means that he isn't. 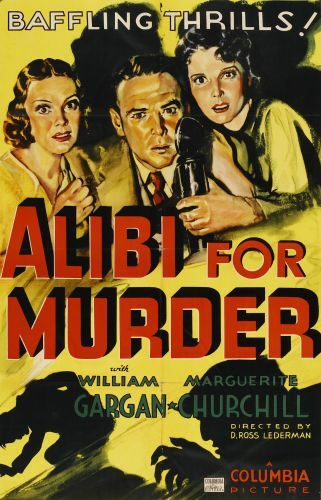 With the help of the dead man's secretary Lois Allen (Marguerite Churchill), Perry tries to figure out how a man could be murdered in a locked room with no visible weapon or assailant. A hectic car chase winds up this cookie-cutter Columbia mystery, which features appearances by such familiar "B"-picture faces as Gene Morgan, John Gallaudet and Dwight Frye.